I took Thursday off of work. Essentially for LeBron James. 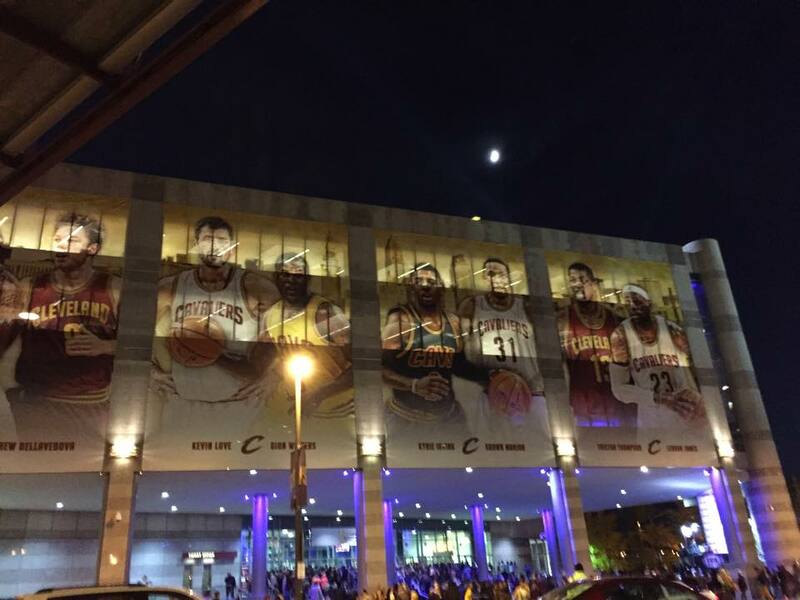 I needed the day to fully appreciate the celebration and welcome home for LBJ. And I’ll admit it. I cried. Multiple times. The first time – when LBJ tweeted this new spot for Nike. I mean honestly, what Clevelander did not have chills the first time they saw this spot? It embodies everything this homecoming means to the city. 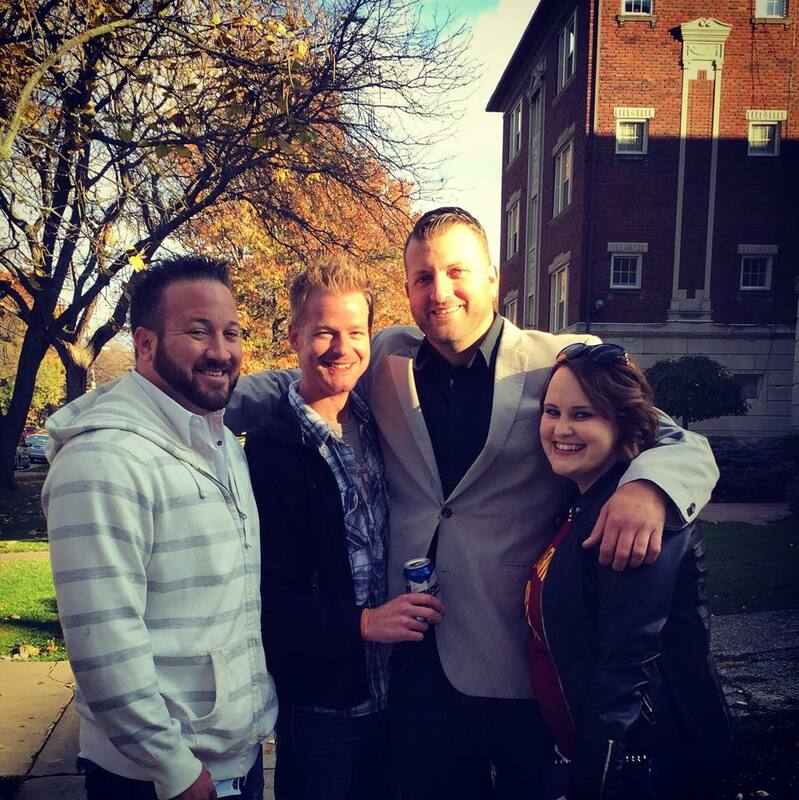 Chris, Dustin and Mike joined me in the celebration and we headed downtown as soon as they arrived to see all of the city celebrating. I can’t imagine how distracted I would have been at work had I not taken the day off. To see the insanity of East 4th meant a stop up at the Greenhouse Tavern rooftop. After dinner and drinks at Hodge’s, which included hanging out with my friend Jenn and seeing Mason and Chris Hodgson himself, we were off to the Q. I was adamant that we had to be in our seats by 7:45 at the latest. I wanted to see every moment pre-game. 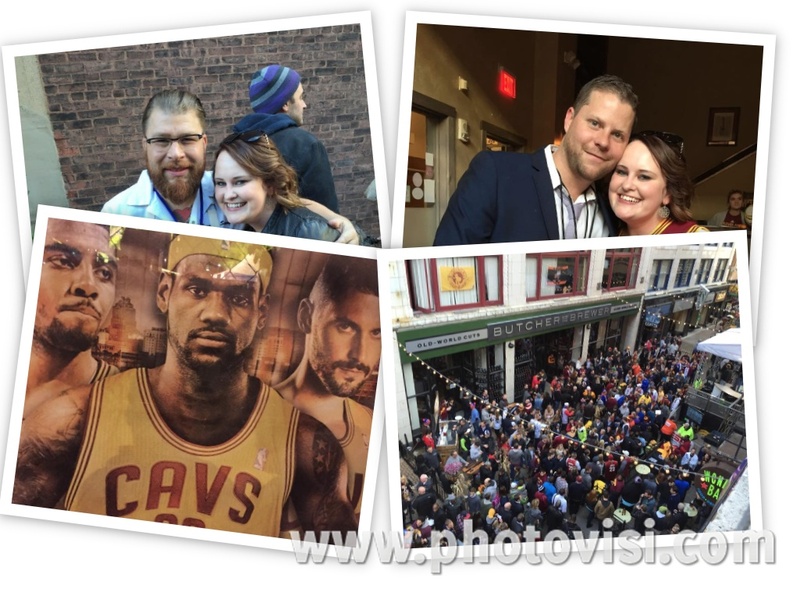 Here’s the thing…I’ve been to a lot of Cleveland sports events. Indians Wild Card games, Browns vs. Steelers games during Sunday Night Football and even the Cavs Championship games. 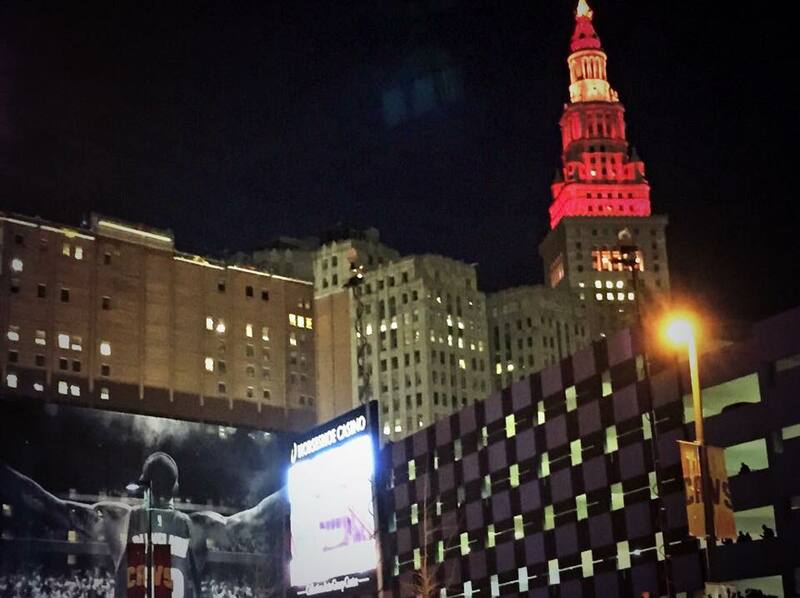 I have never ever seen Downtown Cleveland like that before. I’ve never been in a longer line to get into the Q and I’ve never seen so many excited people in one space. And that moment when the Nike spot started to air, just moments before Usher came onto the court to sing the National Anthem? Yep – tears again. To see LeBron totally taking in that moment and every fan in the arena already on their feet, it was something I had never experienced at a sporting event. And the moment when LeBron was announced, wearing a Cleveland Cavaliers jersey, it’s one I won’t forget. 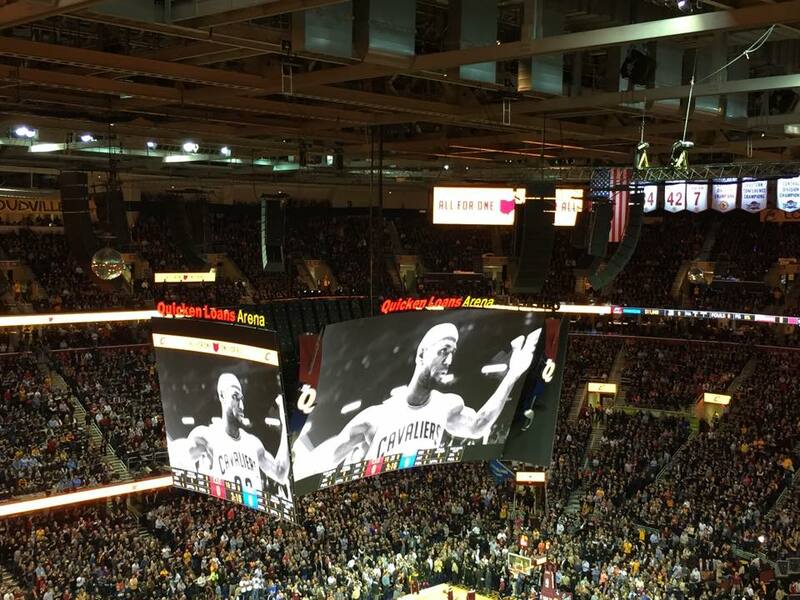 The Q has never been that loud and it was the perfect homecoming celebration. And yes, I know we lost. And yes, I know LBJ didn’t play like himself. But this night? Well it was about more than that final score and LBJ’s stat sheet. It was just all about Cleveland. 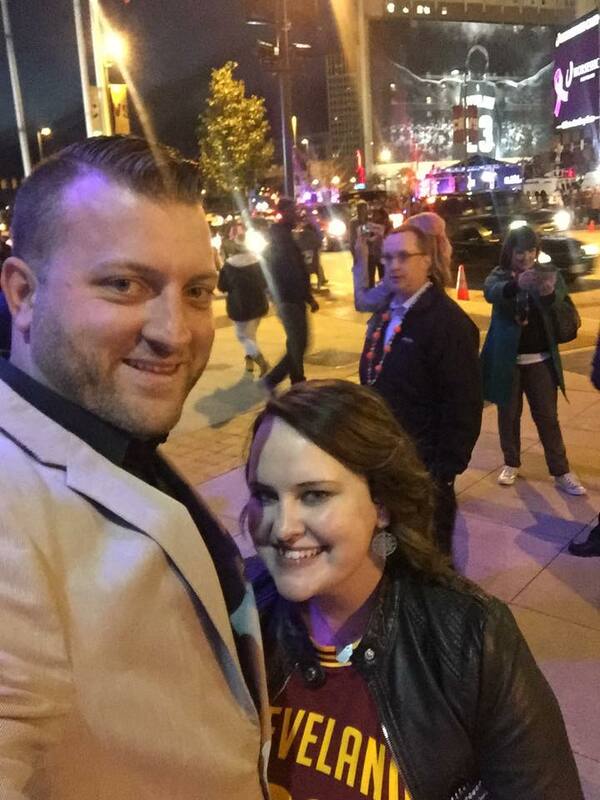 This entry was posted in Uncategorized and tagged #ThisisCLE, CLE Events, Cleveland Cavaliers, Downtown CLE, Home Opener, The Land, Welcome Home LBJ. Bookmark the permalink.